Weather phenomena can be very strange indeed. I found this photograph on Astronomy Picture of the Day for 25/2/19 – which sprinkles the odd meteorological image amongst its astronomical ones. The photograph shows red sprites – a form of lightning that was only recognised as such 30 years ago. 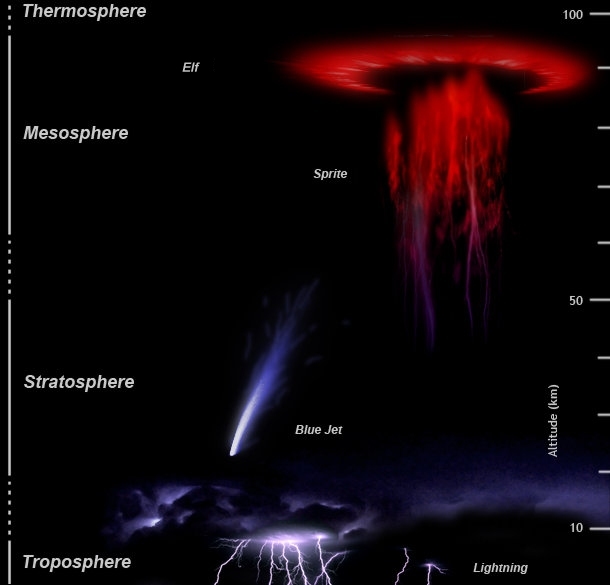 More information about atmospheric sprites can be found here.